Install a new control box on your blast pot for more reliable, profitable operation. Many control boxes are in stock for same day shipment. Complete remote control systems include: Control box with power-in stub, Pinch valve for each outlet, complete Deadman switch w/ 125' cord and plug for each outlet, 5 ft of 3/8" air line with (2) fittings to connect control box to pinch valve, per outlet. 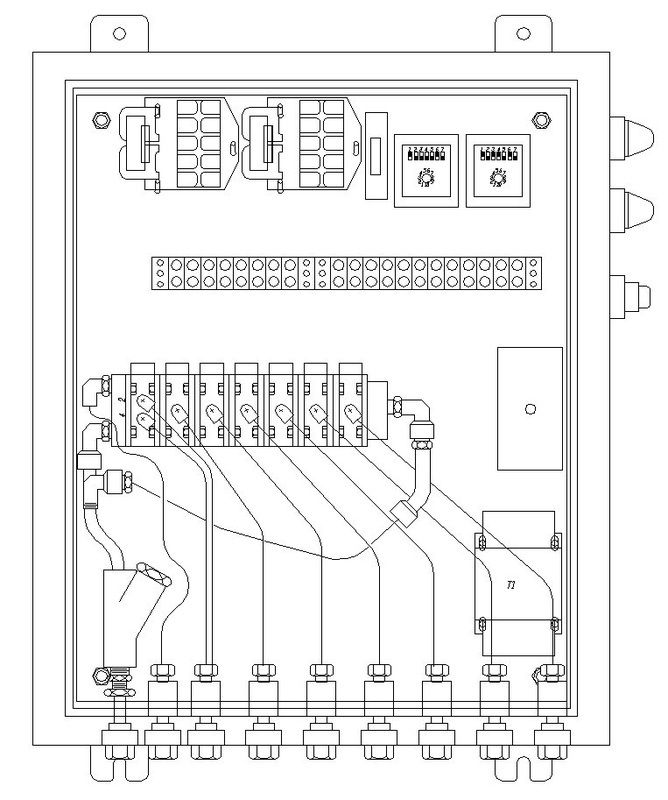 This is for Control Box Remote Control System Part numbers 69110110 1-outlet control box 12 vdc, 69110115 1-outlet control box 120-24 vac, 69110120 2-outlet control box 12 vdc , 69110125 2-outlet control box 120-24 vac, 69110130 3-outlet control box 12 vdc, 69110135 3-outlet control box 120-24 vac, 69110140 4-outlet control box 12 vdc,, 69110145 4-outlet control box 120-24 vac, 69110150 5-outlet control box 12 vdc, 69110155 5-outlet control box 120-24 vac, 69110160 6-outlet control box 12 vdc, 69110165 6-outlet control box 120-24 vac, 5, 69110180 8-outlet control box 12 vdc, 69110185 8-outlet control box 120-24 vac, 73001201, 73012001, 73001202, 73012002, 73001203, 73012003, 73001204, 73012004, 73001205, 73012006, 73001206, 73012006, 73001208, 73012008, 49009065 Air Reserve Tank, 31008160 pressure gauge, 69110009 Battery Clamps, 31008007 Lubricator, 31000450 Check valve, 69020000 Pinch Valve control Stand.